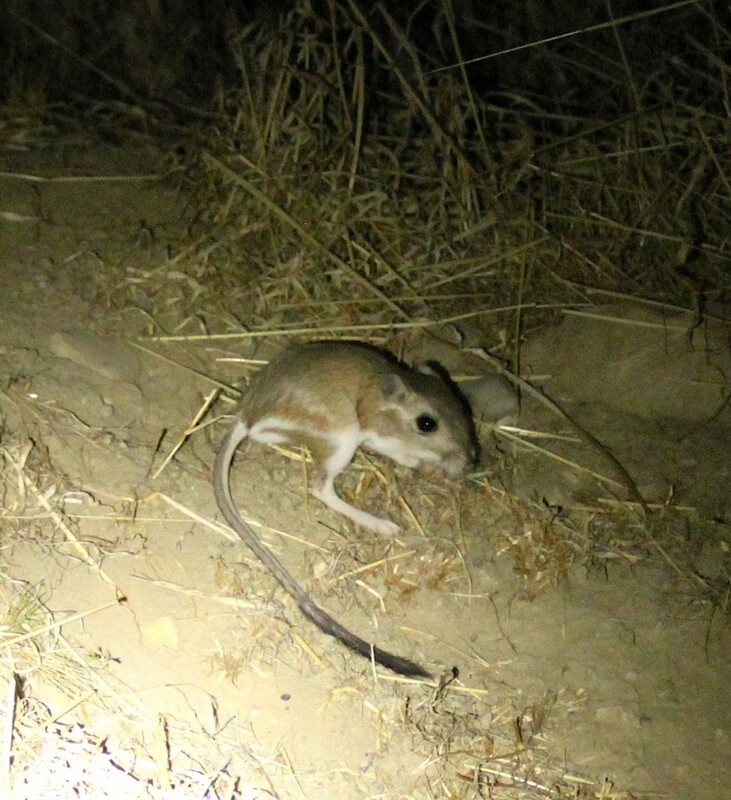 On Little Panoche Road, I saw 1 fabulous Southern Grasshopper Mouse (tularensis), 2 San Joaquin Pocket Mice, 2 San Joaquin Kangaroo Rats (brevinasus), about 30 Heermann’s Kangaroo Rats, and more than 30 Giant Kangaroo Rats. The first three species were in the small valleys near Mercey Hot Springs (alongside many HKR), the Heermann’s scattered between Little Panoche Reservoir and the Panoche valley floor, and GKR on the valley floor. I also saw 2 Pallid Bats while spotlighting near the springs (foraging low the ground) and Tule Elk and Mule Deer near San Luis Reservoir, driving to the site. On Panoche Road East of the Little Panoche Rd intersection, I found upwards of 60 Giant Kangaroo Rats (Recalde Road was a good place to photograph them), 2 San Joaquin Kit Foxes, and 2 American Badgers (very distant, poor views). The Douglas Ranch (just before the pavement end) was spectacular for the k-rats, where the eyes of 10-15 animals lit up the roadside grasslands in one sweep of the spotlight. I was truly dumbfounded, as I’ve never seen anything like this in 6 years of visiting the area… At the creek crossing, there were lots of Mexican Free-tailed Bats and Dark-nosed Small-footed Myotis (acoustic ID confirmation; probably easy to mistnet if you wanted to) feeding in a mass insect emergence; I also heard and saw a few Western Mastiff Bats. 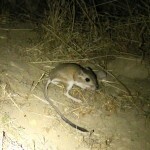 On New Idria Road, there were about 40 Giant Kangaroo Rats between Panoche Road and the staging area at Griswold Hills; I also saw 2 more distant San Joaquin Kit Foxes, another San Joaquin Pocket Mouse, and a California Pocket Mouse. I drove the road through the narrow canyon until Agostini & Strohn, seeing another ~20 Heermann’s Kangaroo Rats, a Desert Woodrat, a Hoary Bat (in a cottonwood grove), and a probable Fringed Myotis that I disturbed from a crevice night roost and briefly relocated in the binoculars (no photo however). I also heard Western Mastiff Bat flight calls at the staging area. On Panoche Road W of New Idria Road intersection, there were another 10 or so Giant Kangaroo Rats, about 15 Heermann’s Kangaroo Rats, and 3 adorable San Joaquin Pocket Mice in the valley; in the Diablo Range, I saw 4 lovely Narrow-faced Kangaroo Rats (darker color, big ears, contrasting facial pattern), another Heermann’s Kangaroo Rat, a San Joaquin Pocket Mouse, a Brush Rabbit, and a superb Western Harvest Mouse (jumping onto a tall grass stalk on the road verge). Desert Cottontail and Black-tailed Jackrabbit were abundant everywhere. In short, now is the time to look for Southern/Central CA’s endemic rodents!! It’s amazing how quickly they recover after six years of drought. 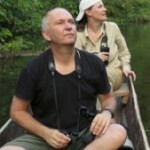 Btw, I used to feel the same way as you regarding the small mammals. Trust me, once you watch your first Giant Kangaroo Rat close-up, you’ll be hooked too! !